Today, we have come up with 7 secret Gmail tips and tricks that you must know to use the Gmail for Android with proficiency. 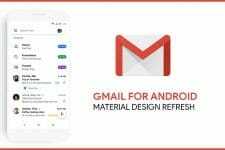 Read on to discover Gmail tricks and secrets and hidden features of Gmail for Android most users tend to miss. Gmail is the most popular email service in the world. Tons of people use it every day to send and receive emails. Gmail has been around for more than 10 years and has improved significantly and will keep on improving. 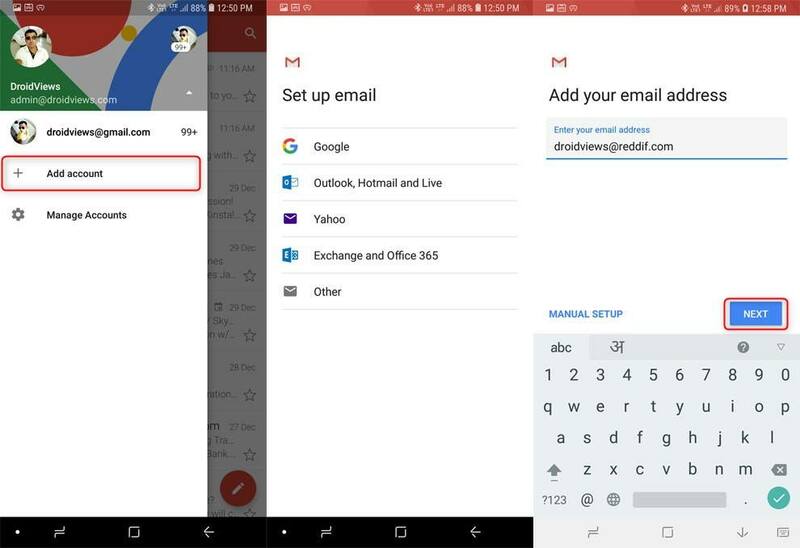 Gmail for Android has made managing emails a lot easy, but how many tips and tricks do you know for making it even easier? The official Gmail app is packed with lots of features which are helpful for both casual and power users. Here are 7 less-known Gmail tips and tricks to help you get the most out of the Gmail app and make you a Gmail pro. Prerequisite: First of all make sure that you are running the latest version of Gmail app. We are going to assume that you already have your email account setup and running. Without much ado, let’s explore the Gmail tricks and secrets and hidden features of Gmail one by one. Tap the Hamburger icon the top-left corner to open the Gmail app menu. Tap the down arrow icon to the right of your name. On the next screen, you’ll have the option to add Outlook, Hotmail, Yahoo. Office 365 or any other non-Google account. Enter the email address, tap Next and select the account type like Personal (POP3), Personal (IMAP), Exchange, etc. Add other required information for the email account you want to add. To switch between accounts swipe right to show the menu and tap on the profile icon you’d like to use. Gmail has quite a few inboxes to sort the emails appropriately – primary, starred, important, spam, etc. But sometimes it is not as appropriate as we want it to be. In such cases, you have to train it, teach it which email is important and which one isn’t, and it’ll get better over time. For example – an important mail may sometimes end up in the spam folder and a spam email may sometimes end up in priority folder. It doesn’t happen much, but if you are facing such a rare problem, here’s how to fix it. If an important email is sent to the spam folder, open the mail and tap on three vertical dots on the top right-hand corner and select “mark as important” from the menu. Do it for a few times and Gmail will learn what goes where. This tip may prove helpful when you are busy and don’t want to get distracted by email notifications. Muting a conversation is very simple – just open the conversation, tap on the three vertical dots on the top right-hand corner, and select “Mute” from the options. If you ever tried to delete emails in bulk in the Gmail app, you must know that it’s quite troublesome to select multiple emails at once. You have to touch and hold the emails to select them. But there’s an easy way to do so. To select multiple emails at once, simply tap the profile icon on the left of every email to select it. Once selected, you’ll see few actions like Archive, Delete, Mark as read/unread on the top. You’ll find this Gmail tip very helpful. Search is one of the most useful features in Gmail, be it on the web or on Android. You can easily search emails by entering sender’s name or a word that you think appeared in the body of the email. By using various search operators, you can take the searching function to the next level. For example -“has: attachment” search operator will bring up all the emails that have attachments, search operator “after:2018/7/15” will bring up all the emails that you received after July 15, 2015. Google has provided a full list of search operators here. These operators work on the web as well as on the Android app. 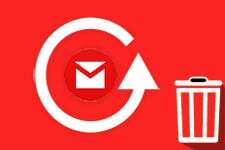 Gmail for Android has a quick action that lets you delete or archive an email by swiping left or right. To enable it, go to the app settings and check “Swipe actions“. In the same page look for “Gmail default action“, it is available on the top. From here you can select what action you want the swipe to perform i.e. delete or archive. Once selected, you can swipe left or right to delete or archive an email. How many times has it happened that you sent or deleted an email that you didn’t want to? By enabling action confirmation (confirm before deleting, confirm before sending, and confirm before archiving) from the settings option, you won’t have to face such troubling situation again. Action confirmation options are available at the bottom of the Gmail app settings. That’s all for now! 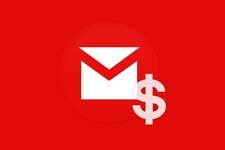 Here we wind up my article on Gmail tips and tricks. To understand Android better and use it like a pro, please don’t forget to browse our tips and tricks page. Do you use Gmail for Android on a daily basis? Or do you use any other client for emails? Do you have any other tips for Gmail? Share your tickets m thoughts with us in the comments section below. Note: The article was originally published in December 2015 and was last updated on December 30, 2018. I read on the net, a lot of article on the subject. But I admit that this one is special and unique.Thank you very much for this huge list.. Thanks a lot for appreciating the article, Pankaj. Please follow us on social media for more tips to make your Android experience better. Well written information with it we gain enough information to use Gmail on Android, thanks bro! thank you for all tips and tricks, this really helpful for daily Gmail users!!! I use Google inbox from now. It is indeed easy to deal with more of emails that are not spam. Though I can’t see my yahoo mail via inbox. Thanks very basic but useful information.